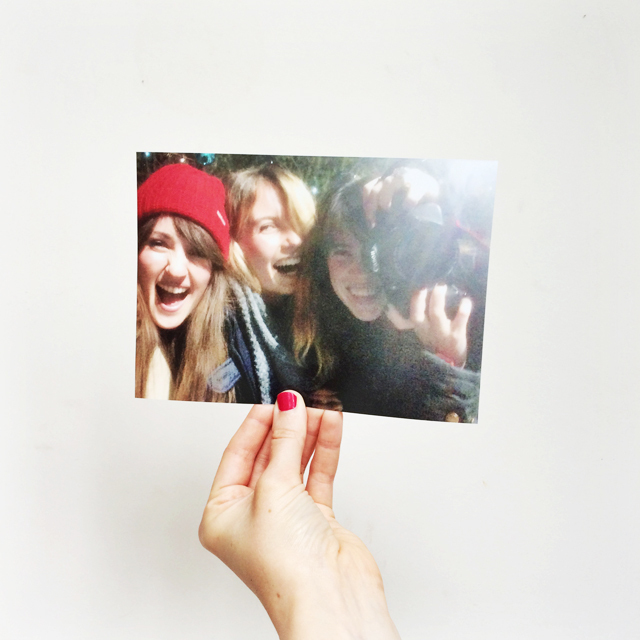 But I agree, we all take so many photos, but we rarely print them and it’s such a shame. I try really hard to keep up with printing photos. I really love printing instagrams as most of the time I just take iPhone pictures. For my fave uni pictures, where I didn’t necessarily want an album FULL of grainy, drunk photos, I printed them out with Moo as business card sizes so I could still see them, but also fit them all easily into one album. This is definitely something I need to work on and you are right, it’s at the bottom of my to do list. I’m still trying to choose somewhere to actually print them so I will look into your suggestion. Thanks! This is such a long forgotten style! 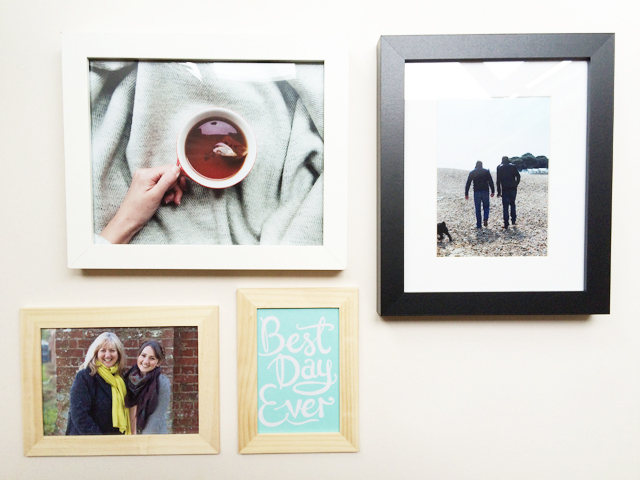 Thanks for reminding how lovely pictures in a frame next to the bed look! Yes I do, I have lost years worth of photos on a number of occasions; the last time I decided enough was enough, I didn’t like my point and shoot anyway so I decided to move back to film, using the little APS camera I had growing up. Now, I have boxes full of photos which I love and need to sort into albums, but I always love going through the photo boxes in my parent’s loft and hope that I’ll get the same enjoyment out of doing the same with my photos and for my kids (eventually) to look at in years to come. Some really pretty photos! I have started printing more but still have a lot more to go. It’s still firmly on the to-do list! These look lovely! I love the picture of the tea. I always use Photobox too. Going to spend the weekend getting my photos printed now! See, what I do is print photos and then find I don’t do anything with them. People keep gifting me frames and I have every intention of filling them and then just don’t. It’s definitely one of those things that’s permanently at the bottom of my to-do list which is such a shame. I printed out holiday snaps from Turkey and am about halfway through finishing up the album though – the holiday was two years ago. I do hope to fill my home with smiling photos one day though and there is a ‘To Print’ folder sitting on my desktop, it really is just a case of getting round to it. Photobox looks like a great option, especially for their range of sizes. I’m doing the same with my photos recently and I used Photobox too and am so happy with how they turned out! I never thought I would have been that printed photos kind of girl but I actually love having them around and being able to stick them to a cute little album! I always used to use Snapfish but started using Photobox on a deal, they were really good when the photos came back really cropped; they refunded the order and sent me free replacements! This sounds a bit like an advert…! It’s not, it’s just a really brill app. It sure is…I was really good for a few years, editing and printing all my photos at the end of the year then putting them into albums, but I think I stopped this in 2011! There’s no way I’ll have the time to pick up and get up to date now! 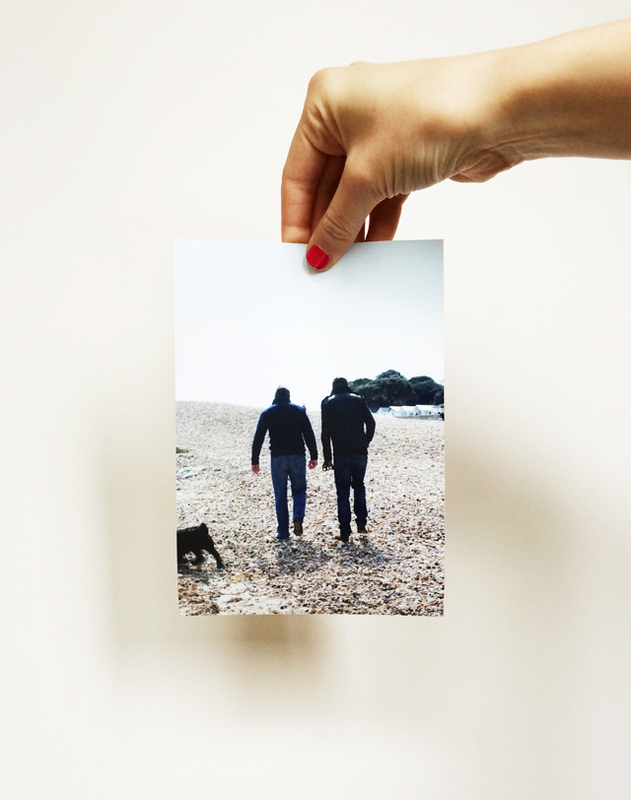 I do love printing off really stand out photos and love creating collages for gifts! Happy printing! I’m AWFUL for printing photographs – I got married two years ago in September and my wedding albums are still completely empty because I haven’t got around to printing photos! We have a lot of gorgeous frames but living with my in-laws right now we have nowhere to actually put them, so I’m hoping we can just keep collecting and when we eventually move into a place of our own I’ll have a massive blow-out printing party! I love, love, love having printed photos. I have a scrapbook, photo albums, canvases and photos all over my walls. I just think it is lovely to be able to look back through all of the important moments of my life without having to sit in front of a computer to do so. I have the same issue. I struggle with printing photos, and find that my memories are all digital. I never know what to do for frames, though. How do you select frames, and where do you buy them? I haven’t printed photos for YEARS, to be honest I just haven’t really thought of it. Bu that’s such a lovely idea. You’re right, if my hard drive or laptop broke I’d be devastated! Definitely something to work on this month. 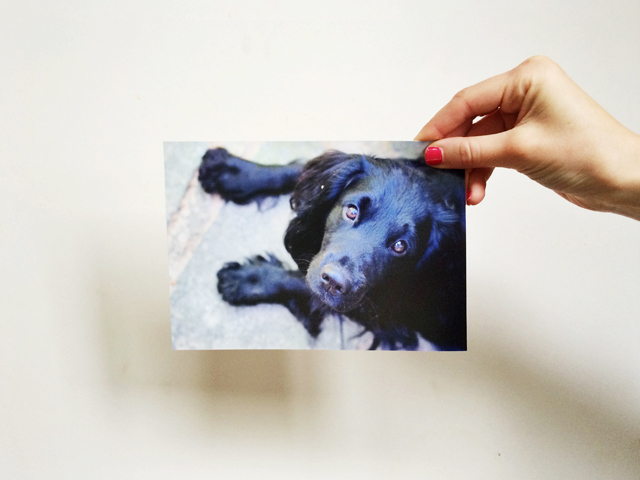 I love printing photos! I use Photobox too and I love how quick and easy it is. I tend to do it every six months or so and stick them in albums when I haven’t got much else going on because I hate being bored!